Lake Elsinore was the site for Rounds 13 and 14 of the Lucas Oil Series. Jeremy and Brock were feeling good and the trucks were fast. Jeremy qualified 1st on Friday and had a great battle within the top 3 most of the race. The race had a few questionable re starts and Jeremy ended the night in 5th place. Brock Heger had a great night of racing in the Pro Lite class. 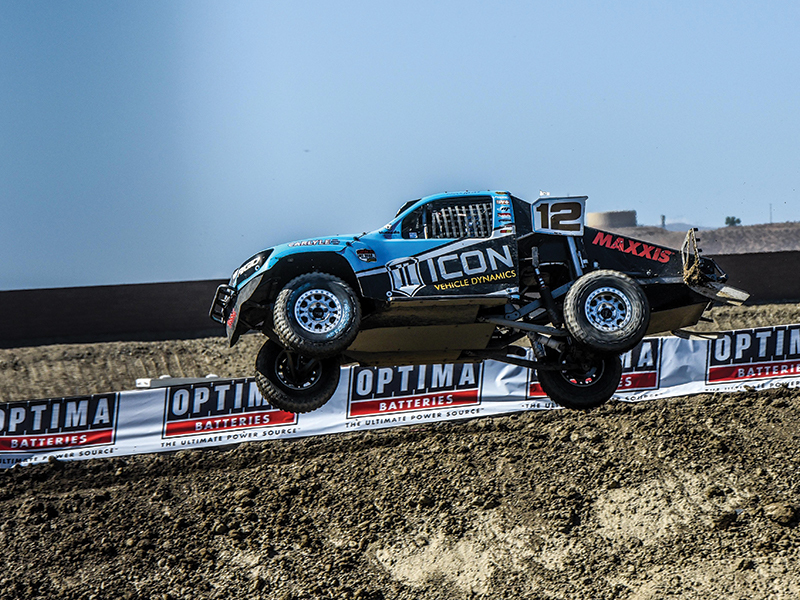 Brock started the ICON Vehicle Dynamics # 12 race in third place and quickly made his way to the front. Brock led most of the race and battled with rival Jarrett Brooks until a late race flat front tire. Brock managed to keep the # 12 on the wheels and claimed a well deserved second overall. Saturday night bad luck claimed the # 2 truck before the half way mark. Jeremy was running in the top 3 when Rob Mac spun his truck in turn 1. As Jeremy was trying to go under Rob, he was clipped from behind by the # 17 of Renezeder. The contact pushed the Maxxis Tires # 2 into Rob and caused major damage and was unable to continue. The Pro Lite race was action packed and Brock was once again at the front. Heger was the crowd favorite all weekend pushing the light blue # 12 to the edge. After a fierce battle with Ryan Beat, Brooks and Arthur Brock suffered a mechanical issue on the last lap. 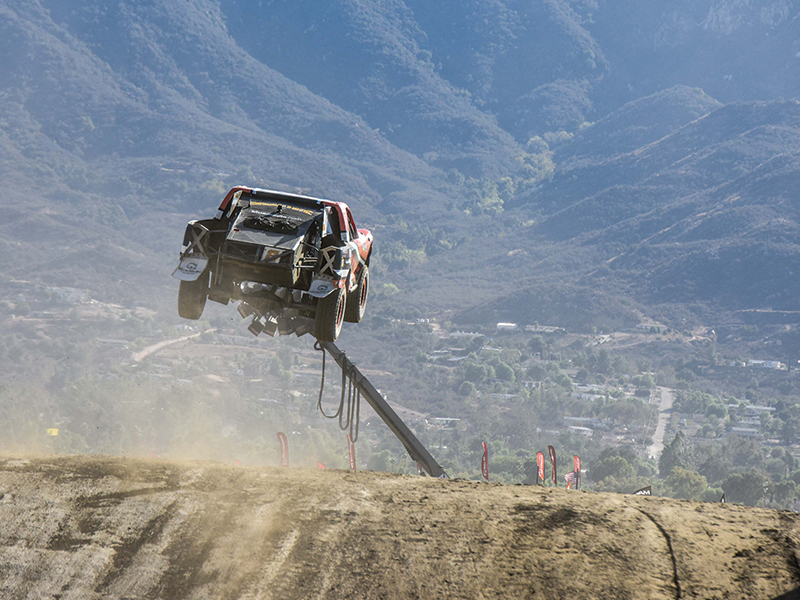 He could barely keep the truck moving forward and managed a 10th. With only 1 round remaining Jeremy sits on 3rd and Brock is in 4th. Follow the team on instagram @jeremymcgrath2 and @brock_heger.